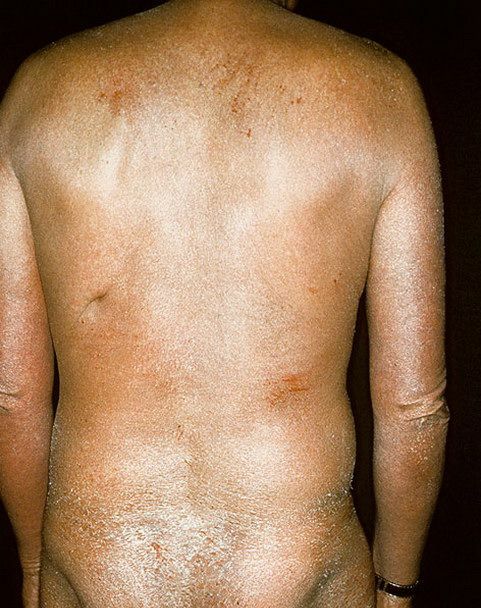 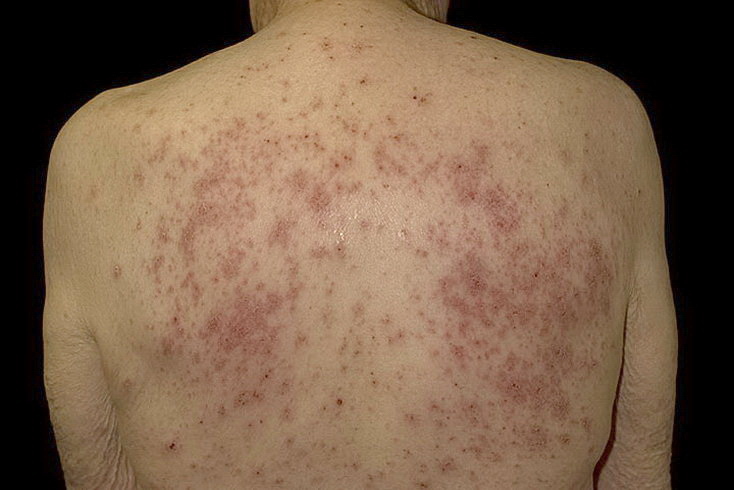 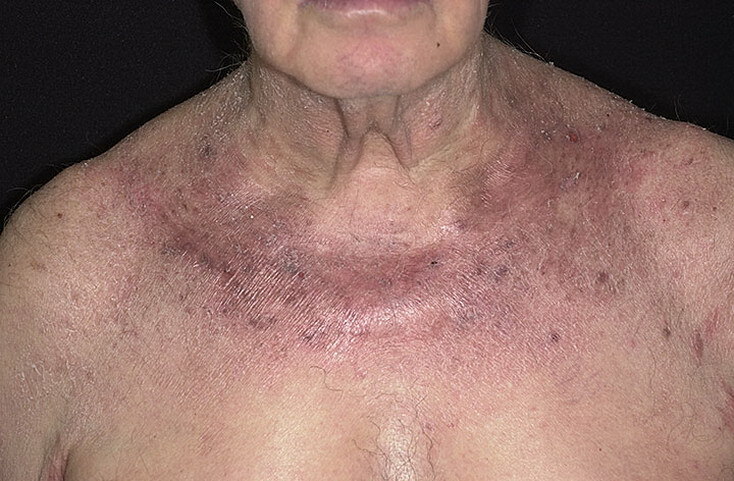 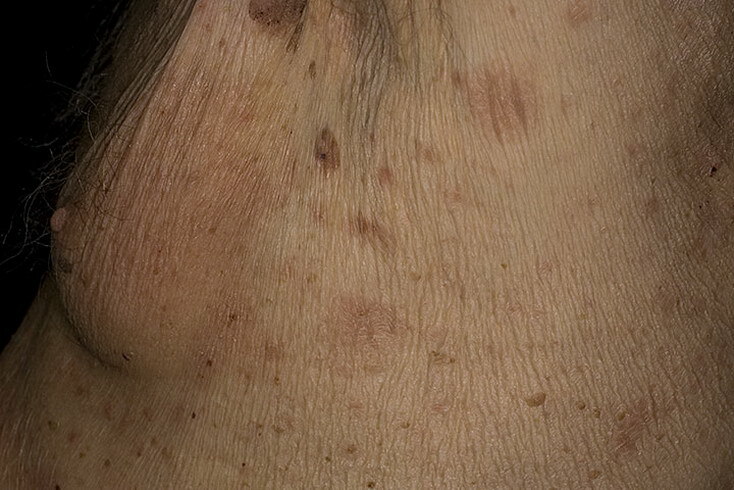 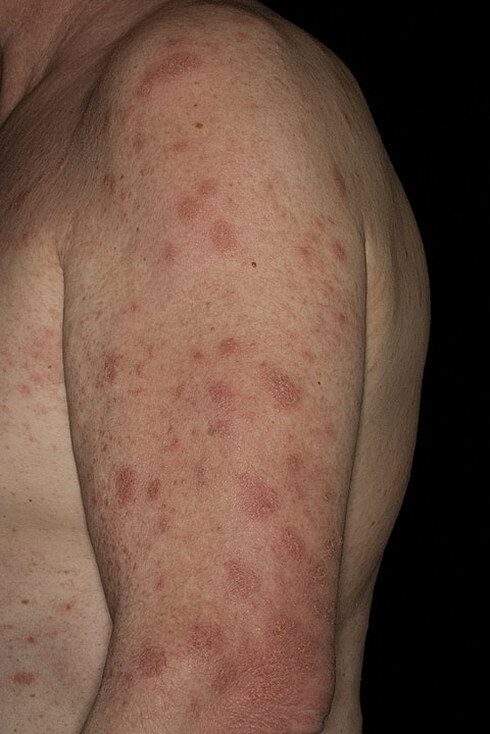 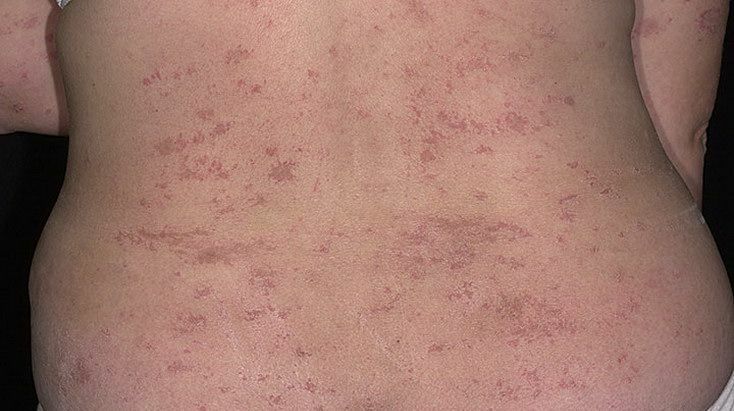 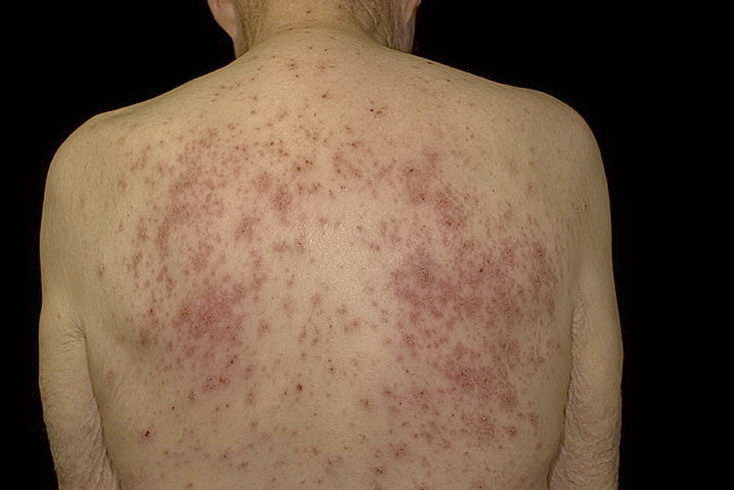 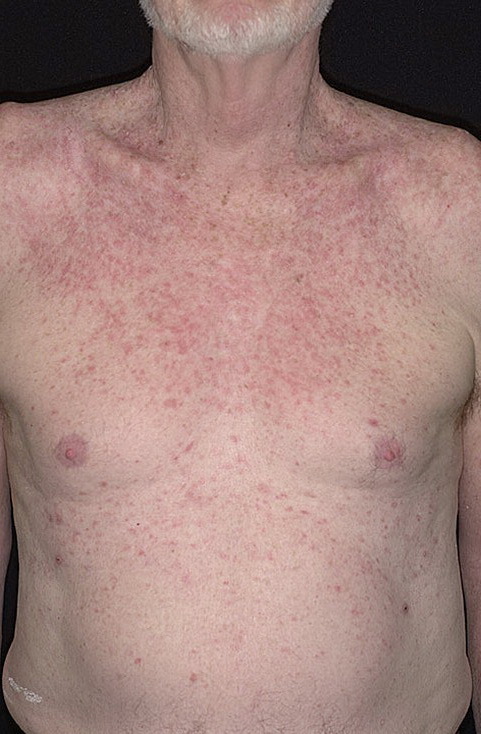 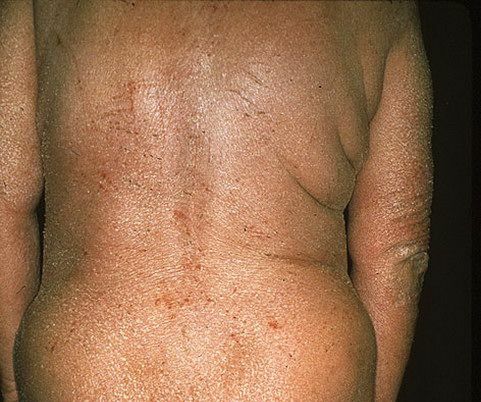 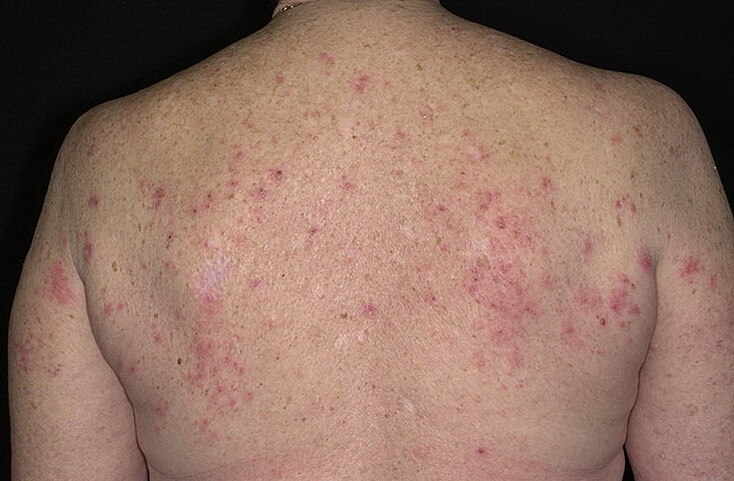 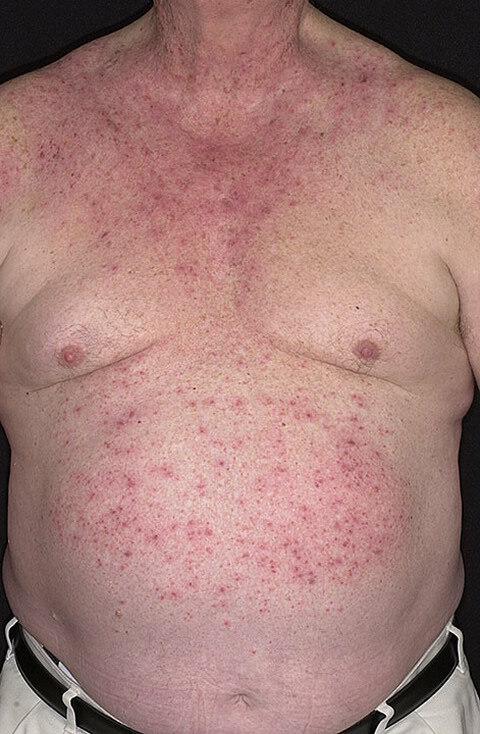 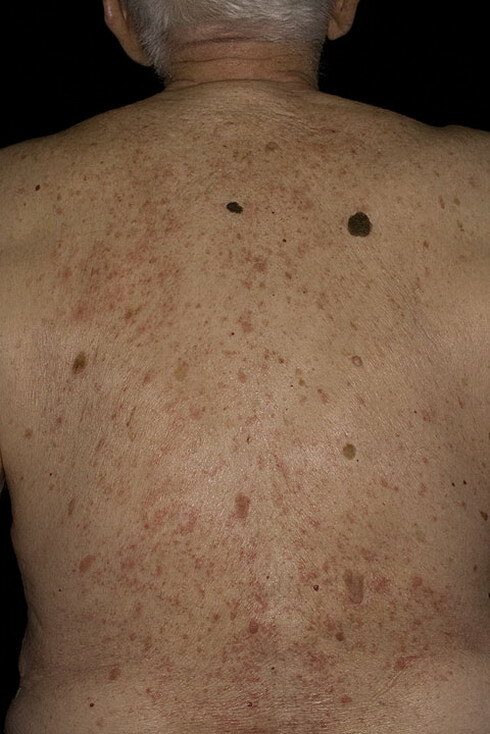 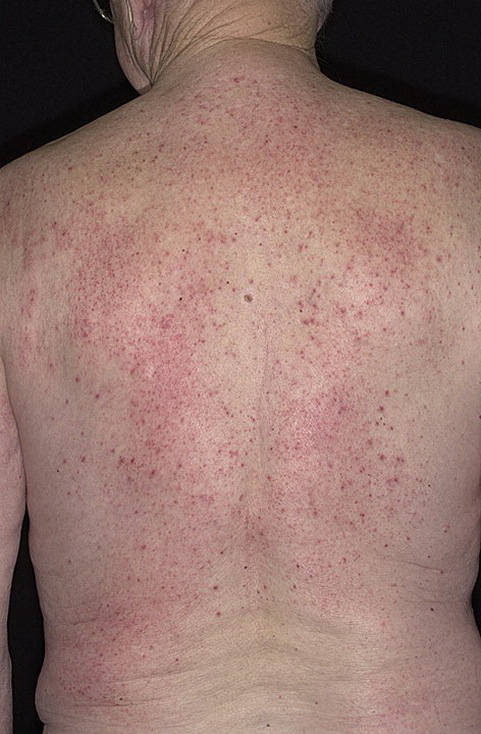 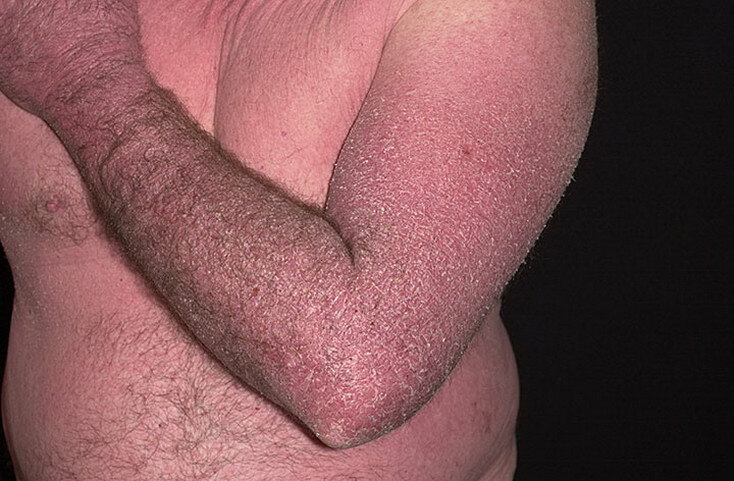 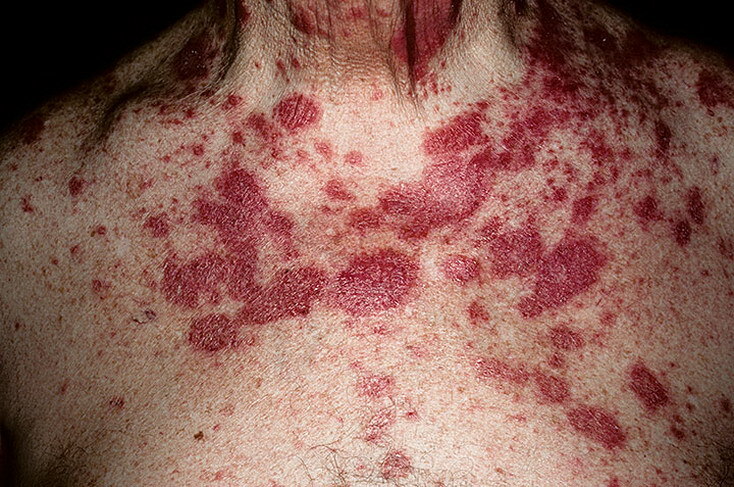 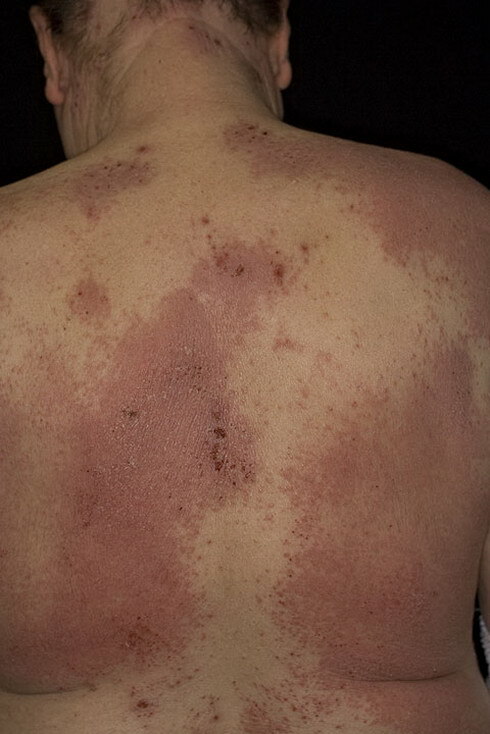 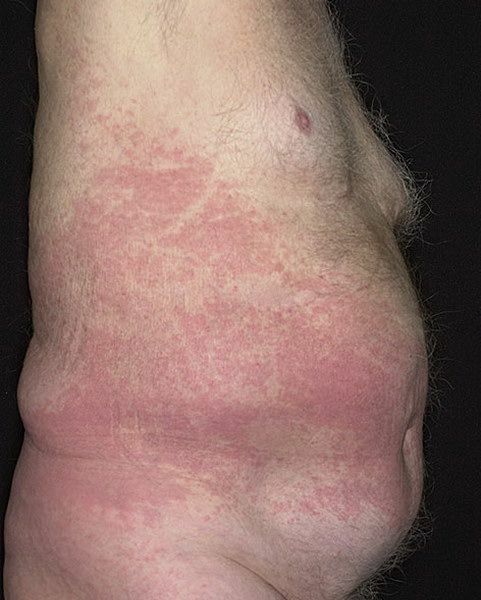 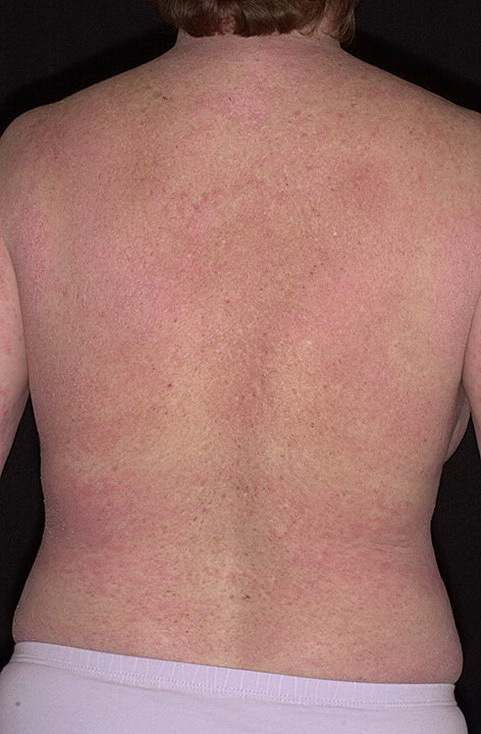 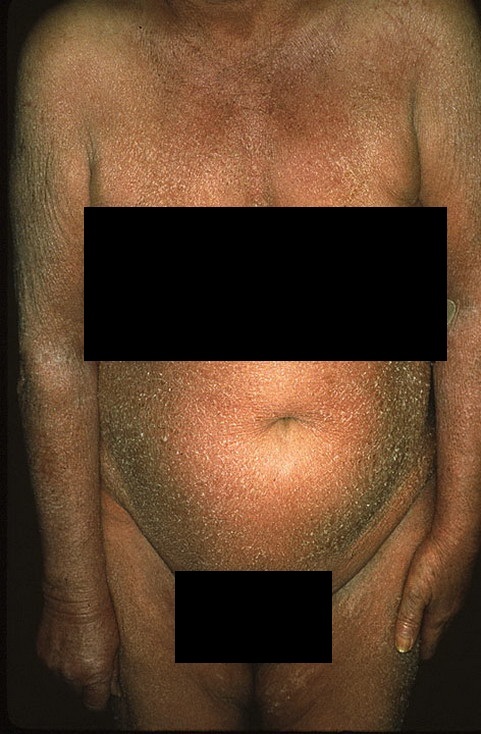 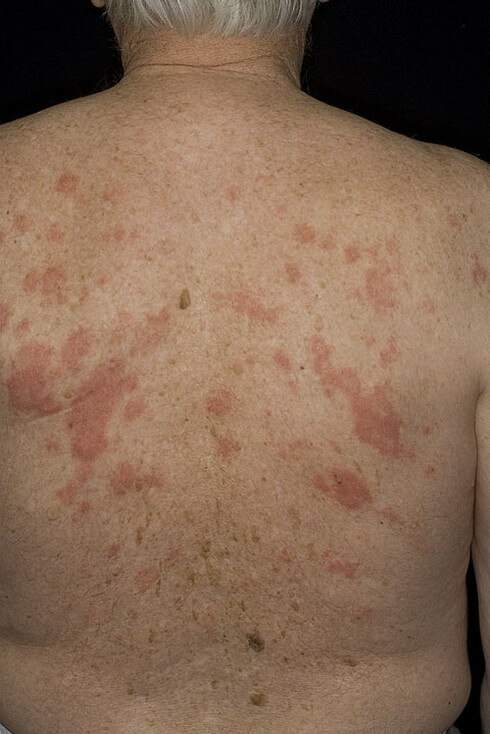 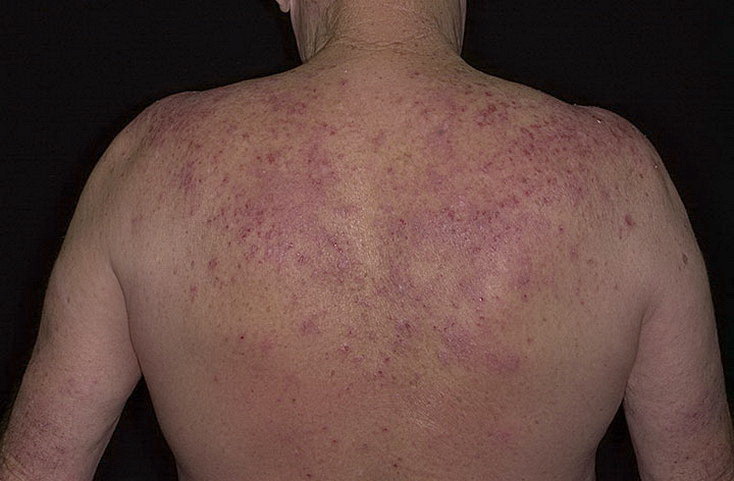 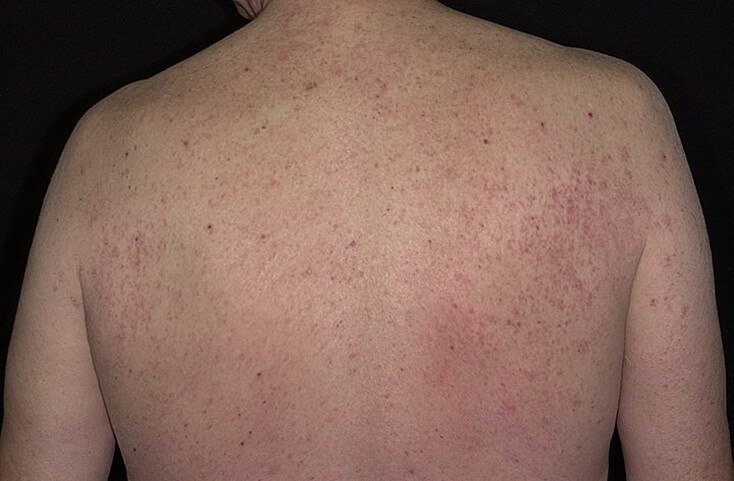 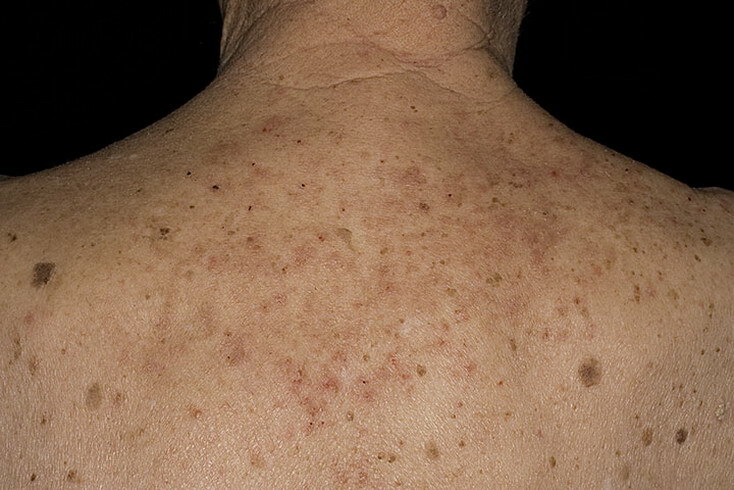 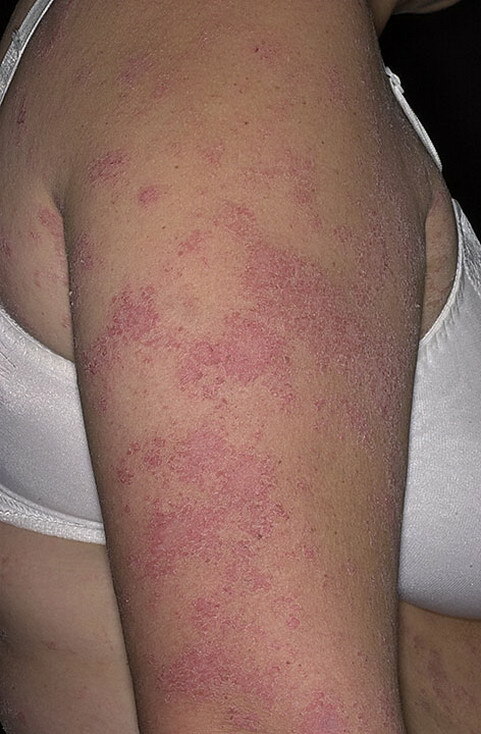 Eczema (dermatitis): A particular type of inflammatory reaction of the skin in which there is erythema (reddening), edema (swelling), papules (bumps), and crusting of the skin followed, finally, by lichenification (thickening) and scaling of the skin. 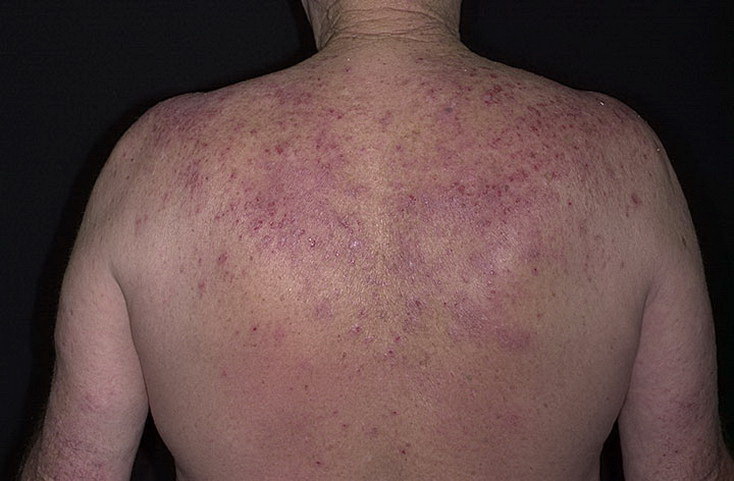 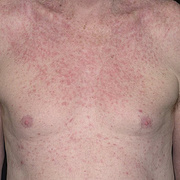 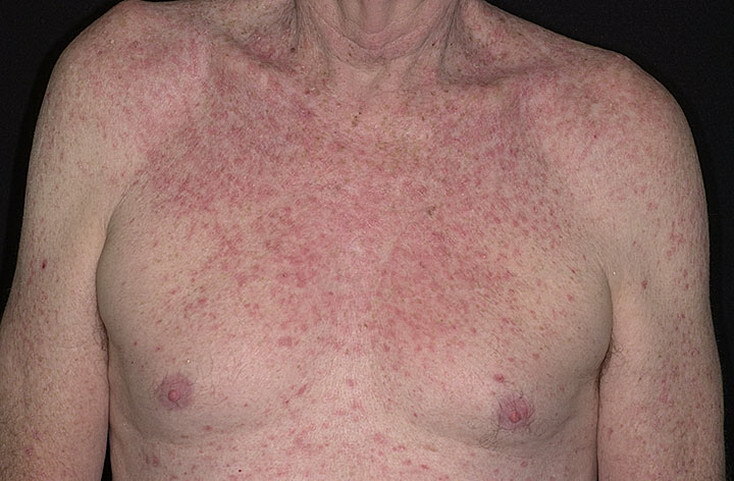 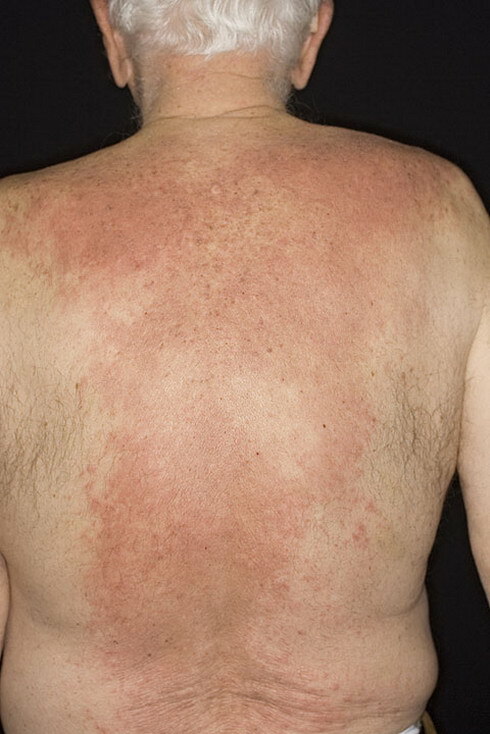 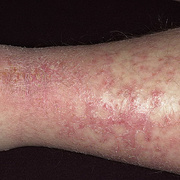 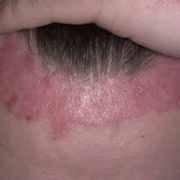 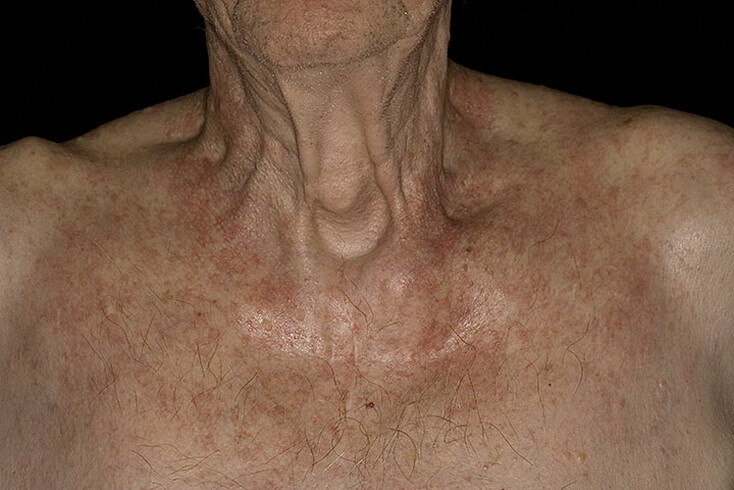 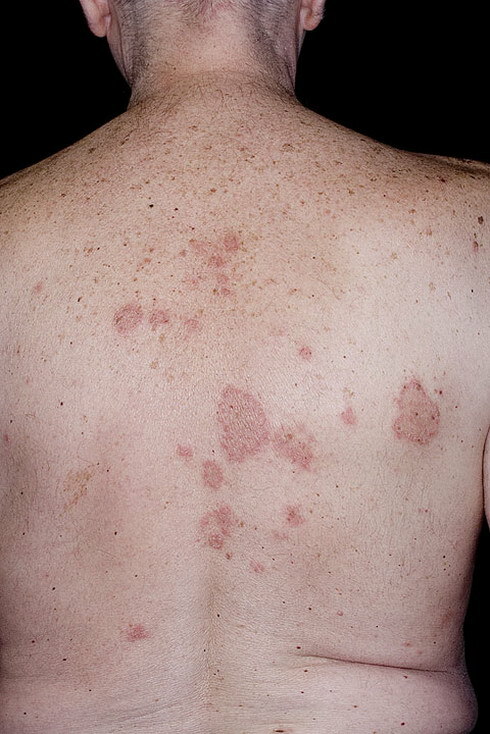 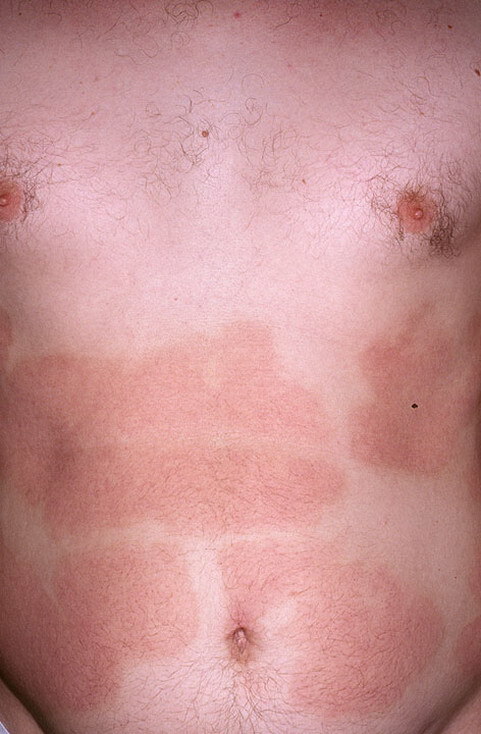 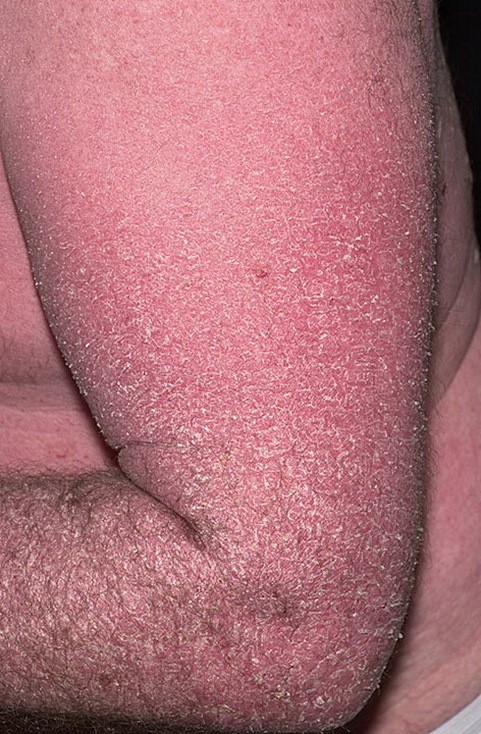 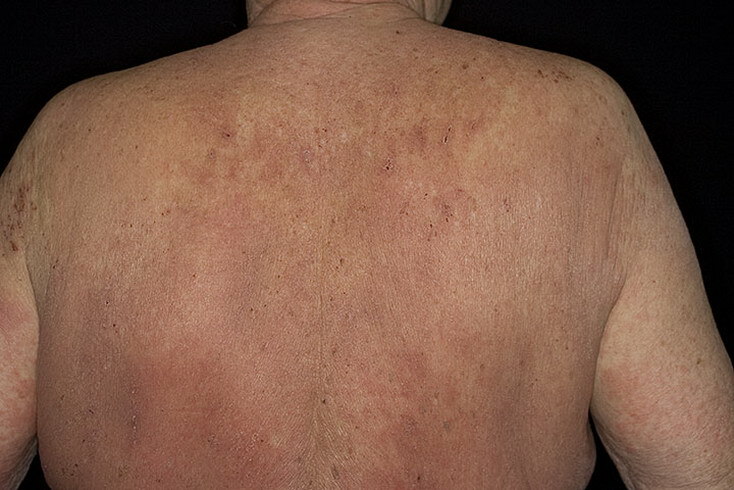 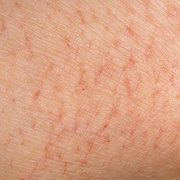 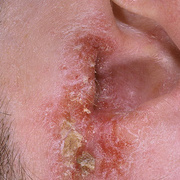 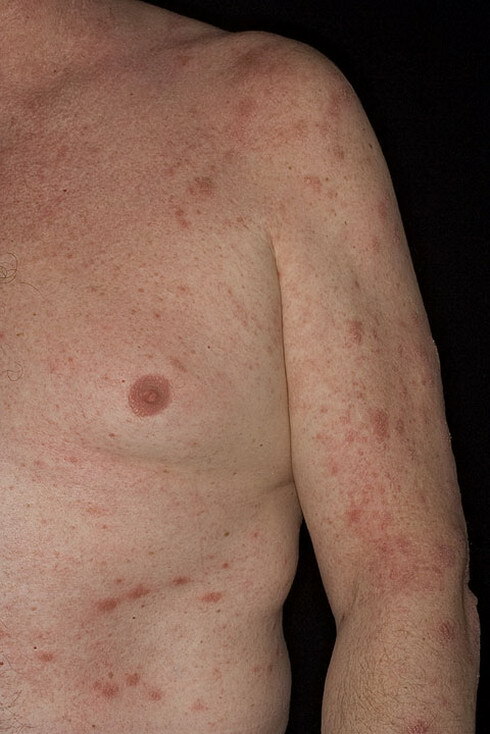 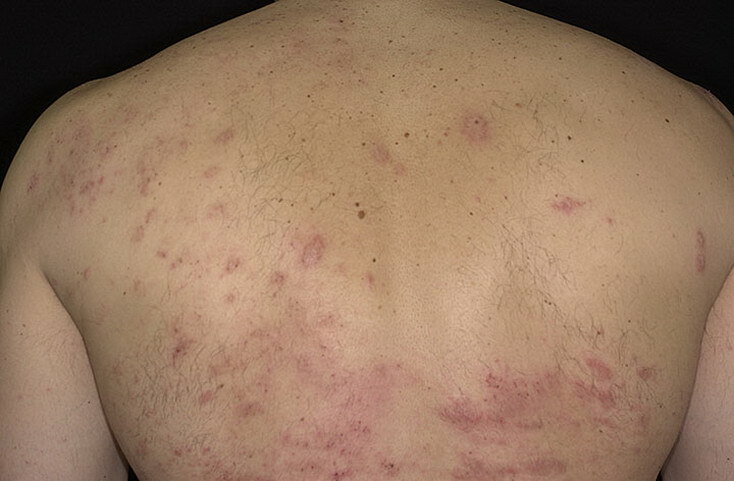 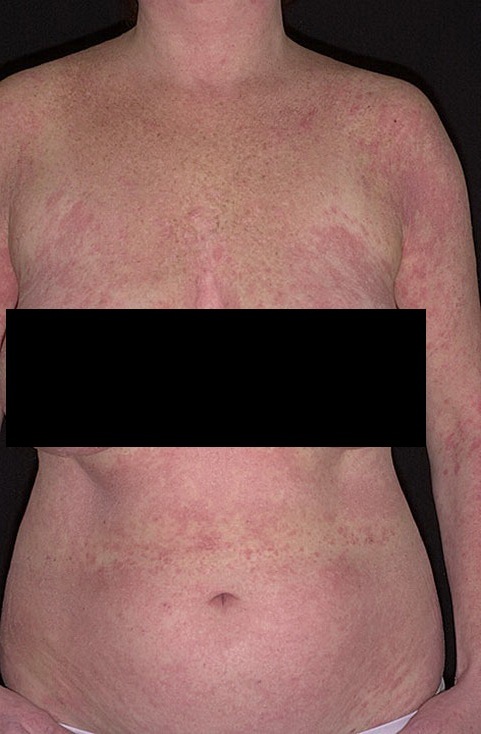 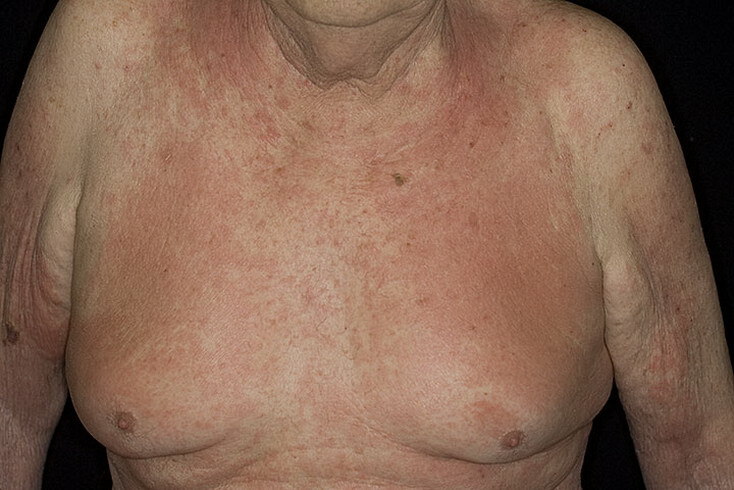 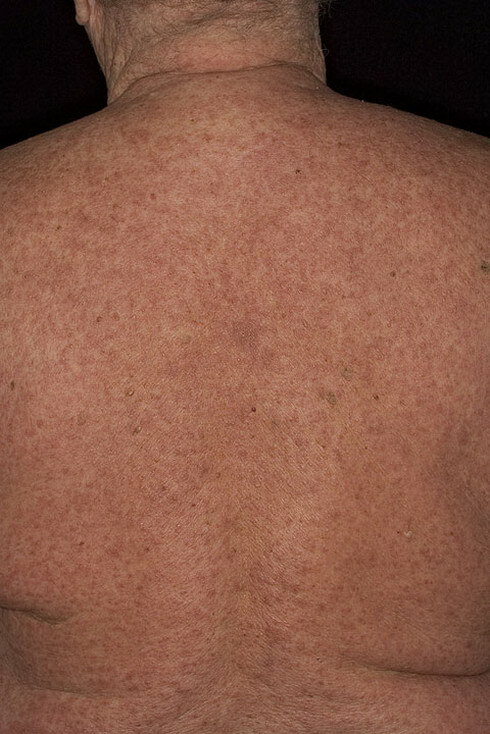 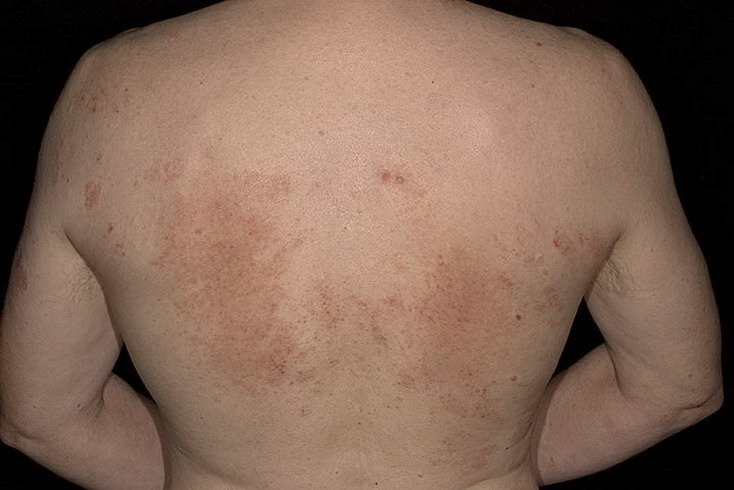 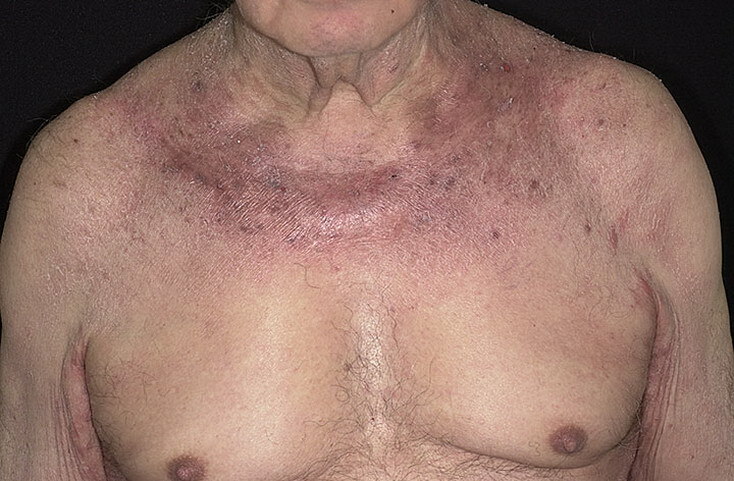 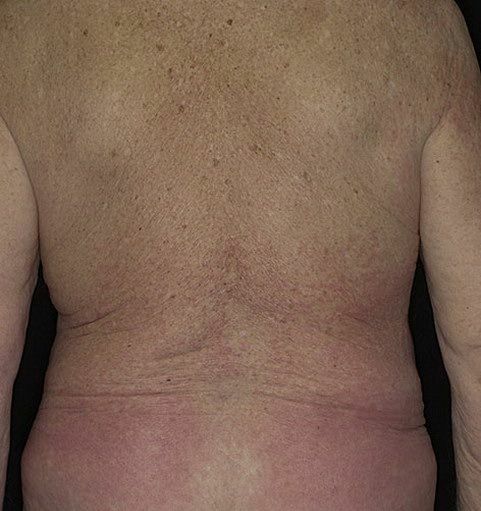 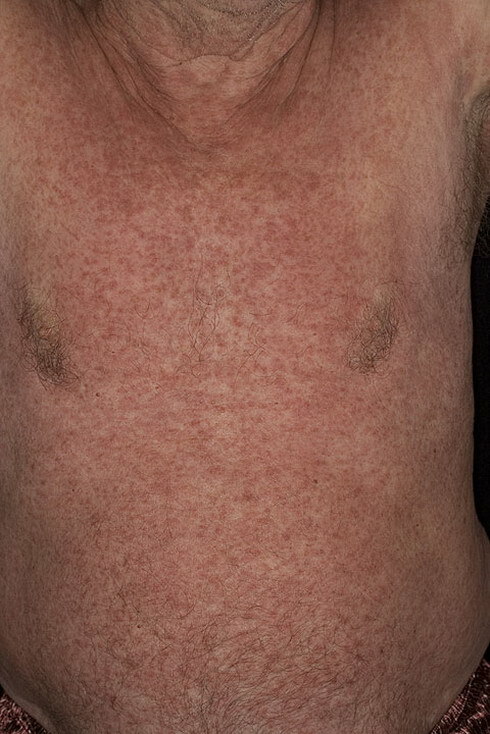 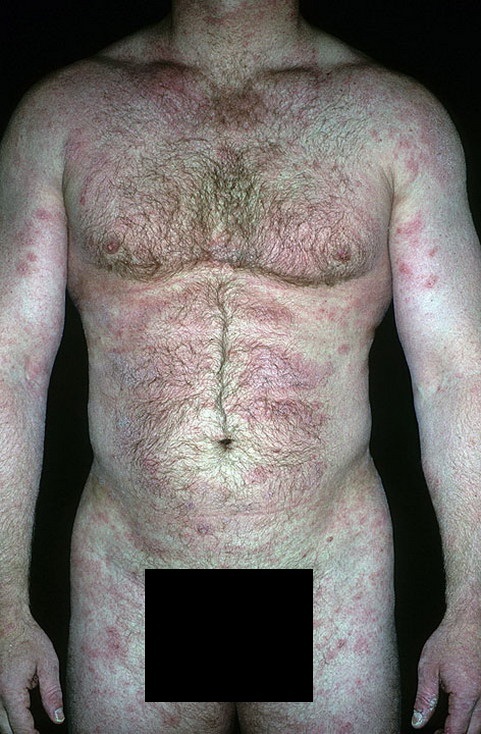 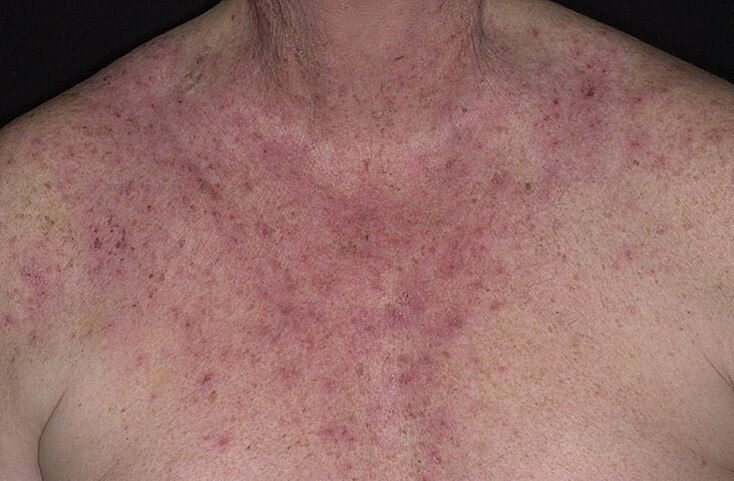 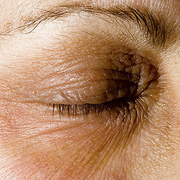 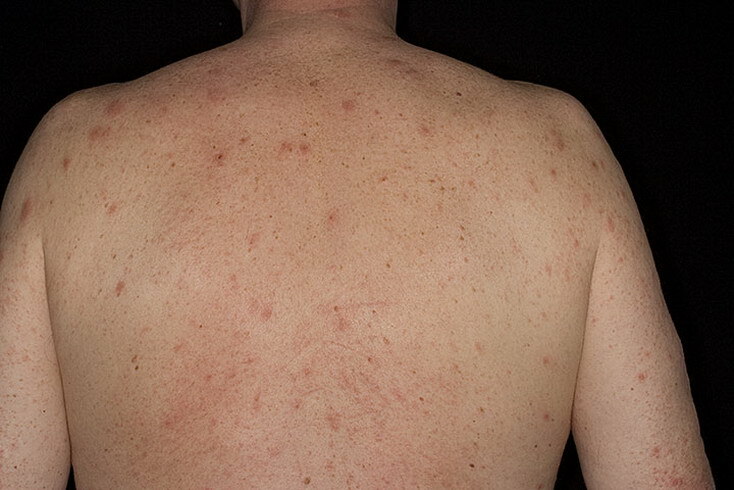 Eczema characteristically causes itching and burning of the skin. 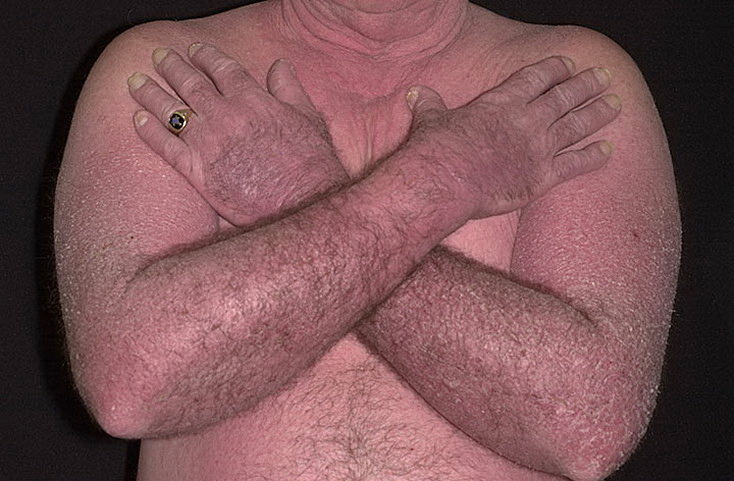 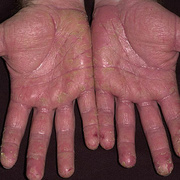 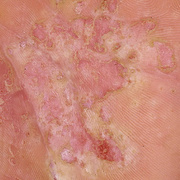 Dyshidrotic eczema - irritation of the skin on the palms of hands and soles of the feet characterized by clear, deep blisters that itch and burn.